Let us take you to the land of the rising sun, of Geishas and Samurais. Come and discover with us the Japanese culture, rich in traditions, where past and future are mixed together. Just to point out the major highlights of our trips, we will let you taste typical dishes and spend a night in unusual accommodation facilities like the traditional Ryokan hotel or the innovative Capsule hotel! We can take you to a thrilling sightseeing in Tokyo, a metropolis of 12 million inhabitants famous worldwide for its modernity and its young style. Japan, an archipelago that hosts more than 127 million people, has really a lot to offer. It's a country that welcomes a large variety of visitors from abroad in a cheerful, global and absolutely unique mix of people. Let yourself be amazed by the breathtaking landscapes and the ancient building, like temples and palaces, which still reveal with powerful evidence the beauty of the Japan's 18th century. The other side of the world, the mystic and surprising Asiatic country is eager to make your dreams come true. What are you waiting for? Only with us you can experience the real taste of Mangas and Animes! 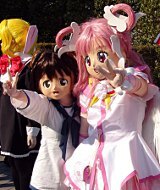 We can have a look at the Comiket, the world's biggest comic book convention, or at the Tokyo International Anime Fair. Fans of Mangas and Animes, you will certainly enjoy it! Enter the Cosplayer's world were commonness has no meaning, and the only word that is worth saying is fantasy. If you want to relax your mind and immerse yourself in a sea of adrenaline what can be better than rafting in the Hozugawa River? Besida this 15-day-travel and its various activities, why not to attend also a language course on site? We can provide you that! Follow us in a trip amongst a large range of contrasting scenes, which incredibly suit with each other creating a wonderful background to the Japanese people and their great culture. 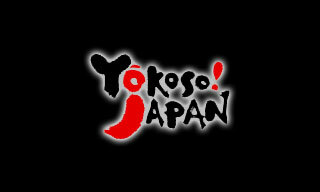 Japan is opening its doors for you, don't wait any longer, you are welcome there!